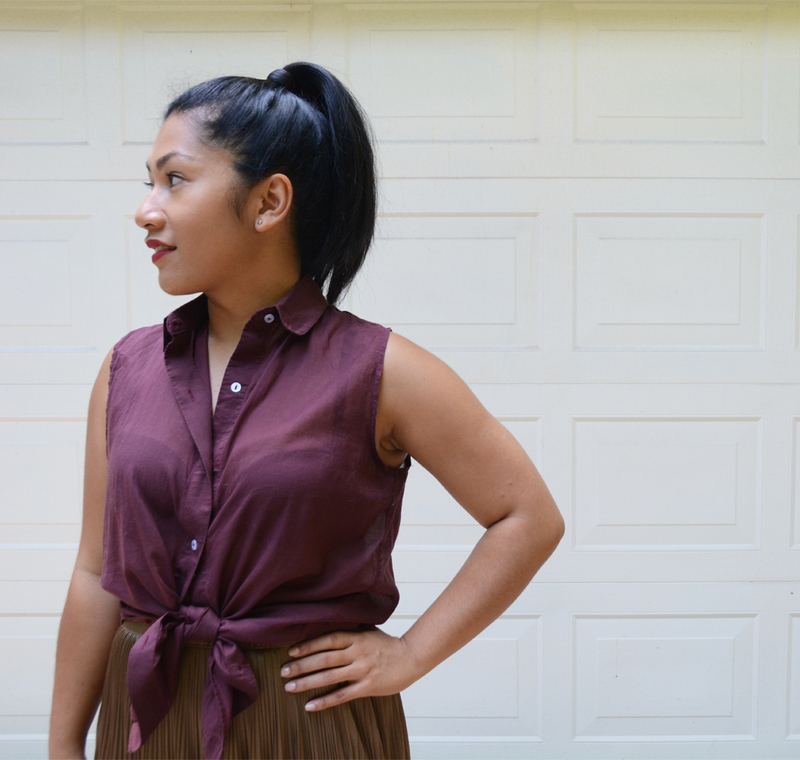 It’s no secret from our last few blogs that Jess and I are a fan of basic pieces. 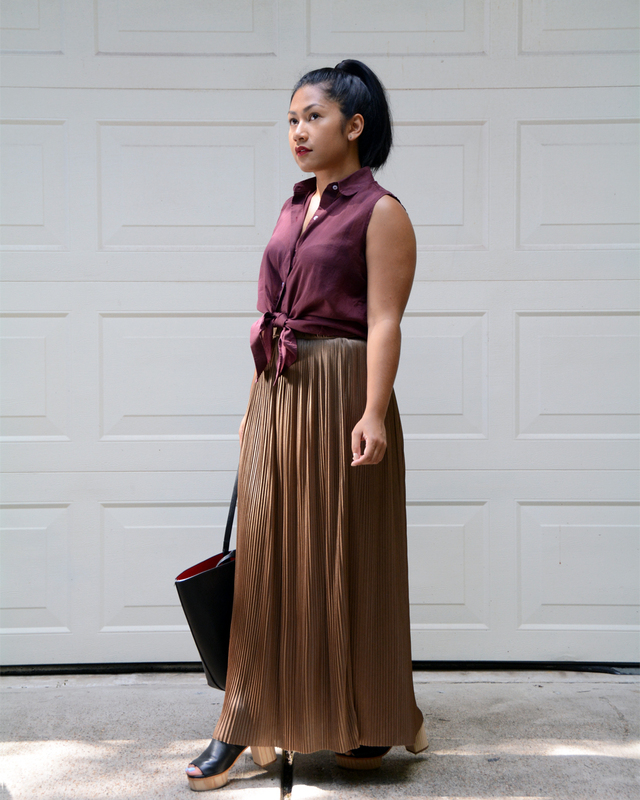 Well call this maxi skirt an upgraded basic. The flowiness and sheen of the material elevates any casual ensemble that it’s a part of. 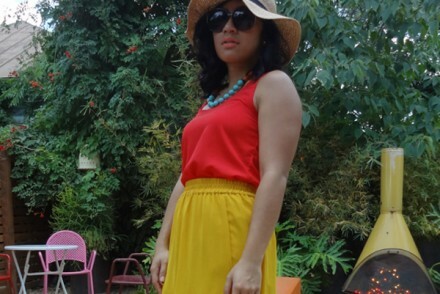 The skirt is versatile enough that I’ve even worn it dressed up for a wedding. It looks and feel so luxe, you wouldn’t believe that I got it from Forever 21. 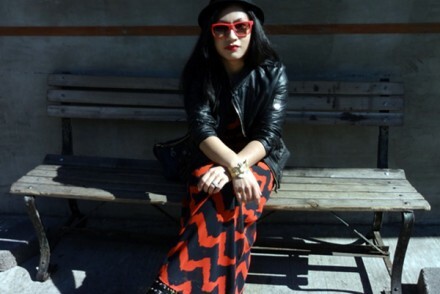 We linked up this look with Elegantly Dressed and Stylish today! 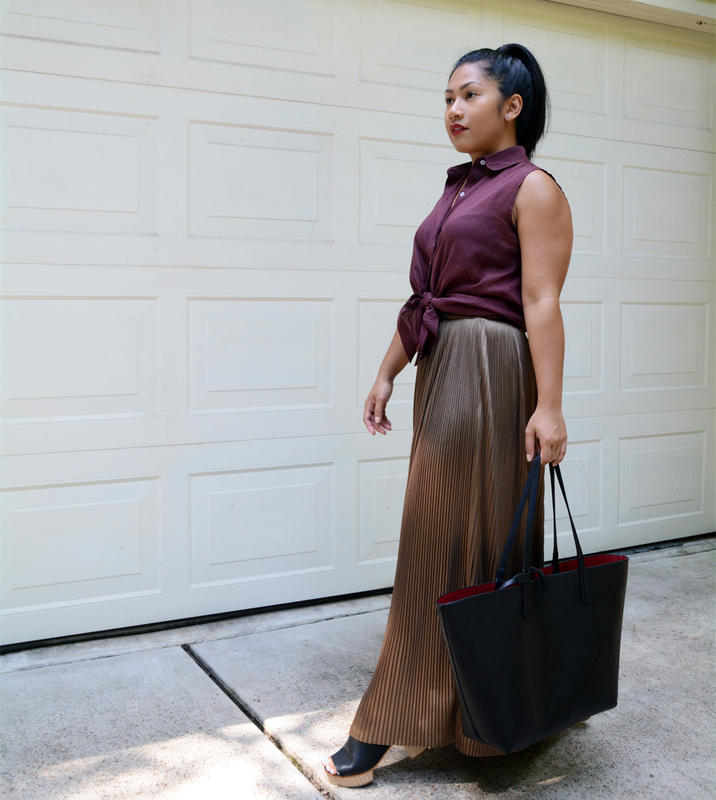 Outfit Combo: maxi skirt from Forever 21, shirt from American Apparel, wood heel sandals from Cos, bag from Zara. I like the skirt! And the wood heels are awesome. I love this combination of purple and gold. Wood heels are simply gorgeous! Love this color combo! That skirt is stunning! Great outfit, I love your skirt and shoes! That skirt is gorgeous! I wanted those heels, but they were out of my size. 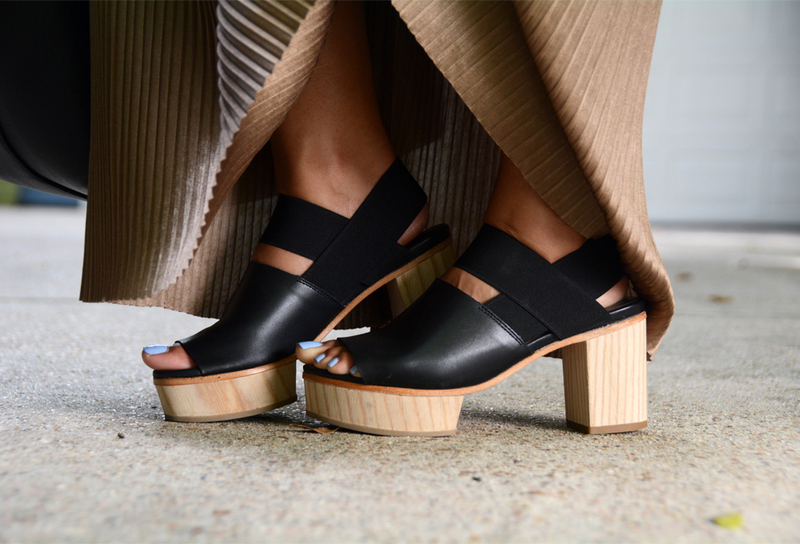 Are the wood heels comfortable and easy to walk in?